Yeah!!! Marianne came to visit me in Denver. Tonight we went to Core Power Yoga with Isabell. It was a hot class so it felt like we were back in Florida, except when we were done and had to go out in the cold all sweaty. I am really happy to have Marianne here to do yoga with me. I love being able to discuss the class and yoga with her. As I have been talking about all week I have been going to a bunch of different studios and instructors over the last month. I am watching people fight so hard to get into a posture. There are so many yoga poses, and the only way you get into a posture is through practice. I am finding the best thing to do is not get frustrated with certain postures, but rather let go. Know that if you keep showing up each day and practice, as well as learn patience these postures will come to you. I also find that it is actually other postures that you complete that help you get into these postures you really want to get into. So every posture you get in is important. I love the challenge of getting into a new posture, but am not really caring if I ever get into the pose. Headstand does not make a yogi, handstand does not make a yogi, forward bend does not make a yogi. Acceptance, being yourself, and being in the now I am finding is the key to a true yogi. 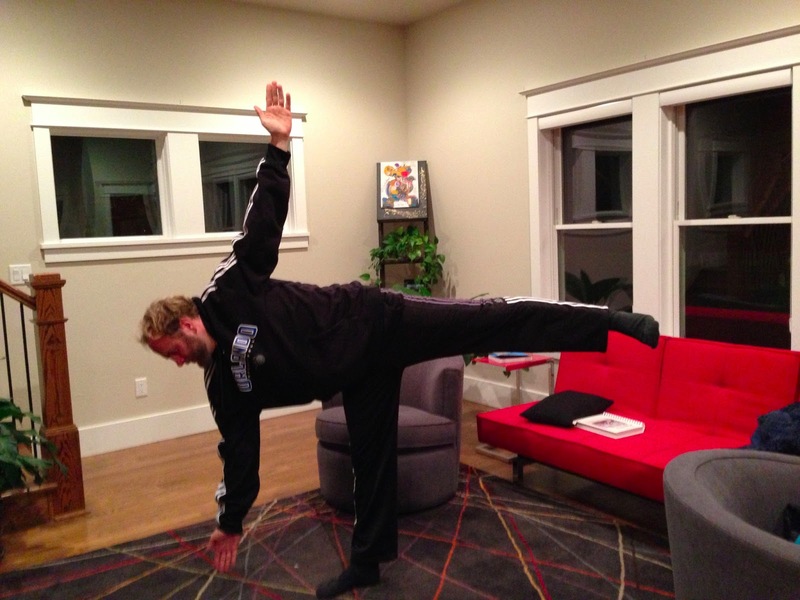 If you get stuck on the fact of whether you can or cannot do a pose you are building onto your ego. There is a point when I feel so accomplished when I get into a posture. Then I have to get rid of the ego thinking that A) I am showing off from doing this posture. B) People are looking at me. C) I am a better yogi. I think these thoughts have all crossed our mind during yoga at some point. The quicker we drop this the better we become. We are all growing. Yoga is not about what postures you can do, it is about the journey we are on. Please send emails and comments. i enjoyed this post letting go is key especially for those prone to being competative !